A contemporary Upstairs, Downstairs murder mystery that will keep you guessing to the end. .....come aboard the fictional Coral Queen and prepare yourself for murder and mayhem with plenty of red herrings. Rachel is twenty-five years old, and appears to have everything. Beautiful, bright and recently qualified as a police woman - what else does she need? .....Her fiancé has ditched her for another woman! Rachel needs rest and relaxation. 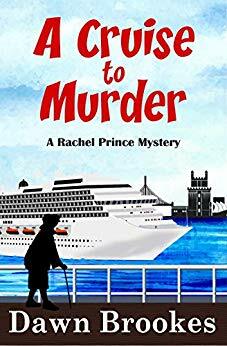 Her best friend Sarah is a nurse on board a cruise ship, and offers the solution. Surely a Mediterranean cruise will help? ..